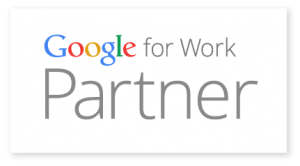 Google Apps Partner is the more friendly name for a Google For Work Partner. The cornerstone of Google For Work is the Google Apps portfolio. Google Apps is a combination of: Email, Calendering, Document Storage, Video Conferencing and more. FlexableIT became a Google Apps Partner in 2012, we selected Google Apps as a robust solution that is feature rich at an affordable price. Google Apps integrates well with Zoho CRM, which is another reason that these products sit well within our Portfolio.